We fought again the battle of Wissembourg. 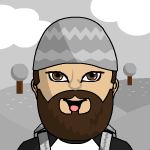 I changed the scenario only a little. This time I commanded the imperial army under Seckendorff (2 brigades), our friend from Mannheim had the french army and my beloved wife had our austrian opponent. "We had to meet the FML Nadásdy when we wanted to cross the river Lauter. He had occupied the fortified city of Wissembourg in the morning. 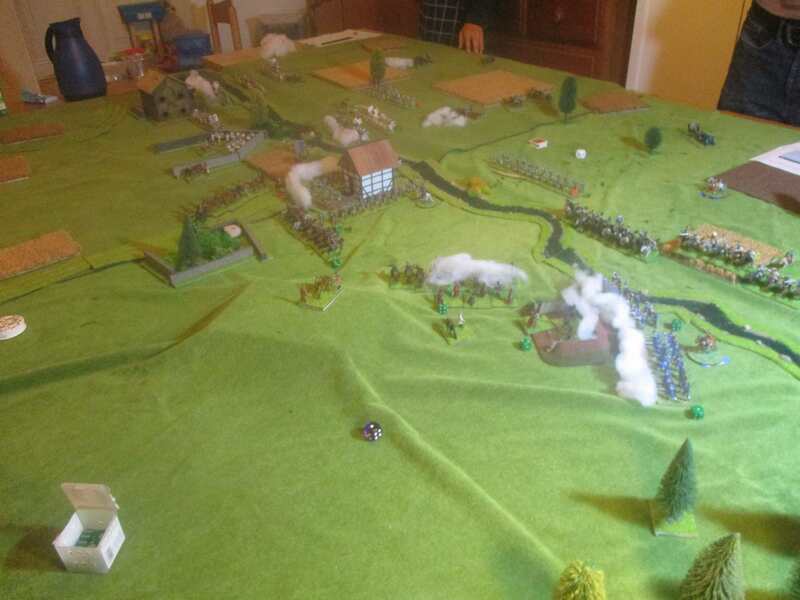 The maréchal de Coigny and me, your most humble servant, decided to launch our main assault with my hessian troops. Therefore Waldenheim advanced fast and was welcomed with the most effective fire of a bn. of austrian infantry, which had managed to occupy Altstadt shortly before Waldenheim was ready to attack. On the right hand side of Waldenheim's Brigade, which was reinforced by a unit of french horse, the Clermont-Tonnerre's brigade marched forward. This brigade had to fight a very strong redoubt, which stood like a rock in the surge. Not early than when Clermont-Tonnerre had both light batteries unlimbered and ready to fire, it was possible to hit the bn. positioned between Altstadt and the large redoubt. On the far right Montal attacked very Long and without any success Wissembourg. There was a hungarian bn. which repulsed every attack with many losses for our french allies. On our left wing Oettingen advanced to a small redoubt which was manned with pandours and croats. Oettingen had many problems with his attacks. The French Brigade Montaigne, which was positioned directly behind him refused to advance, perhaps because the enemy had a light artillery very effectively positioned on a small hill. Montaigne's refusal brought Waldenheim's Brigade in heavy trouble. The austrians concentrated their fire on the poor hessians. I realized that it was our advantage that Nadásdy just wanted to hold his line of defence. Between Altstadt and the small redoubt at our left was a large hole in the enemy's line. That gave us the chance to Launch a great assault on Altstadt, after one of Waldenheim's bn.s was pushed back. Now one of his bn.s attacked the village in the front and the other in the flank. Trenck recognized that and send one of his units forward to shoot in the back of our hessian musketeers. 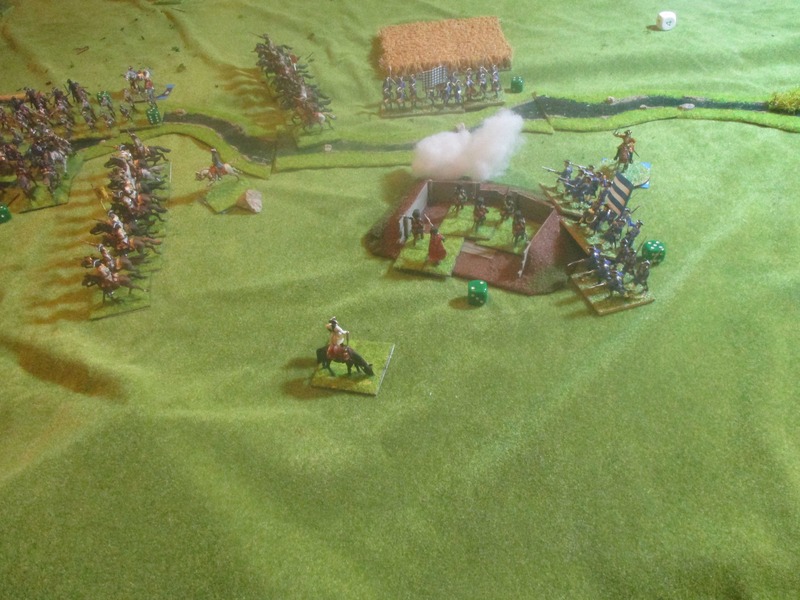 I saw no other chance than to use the French cavalry to charge into the croats. But what a surprise! 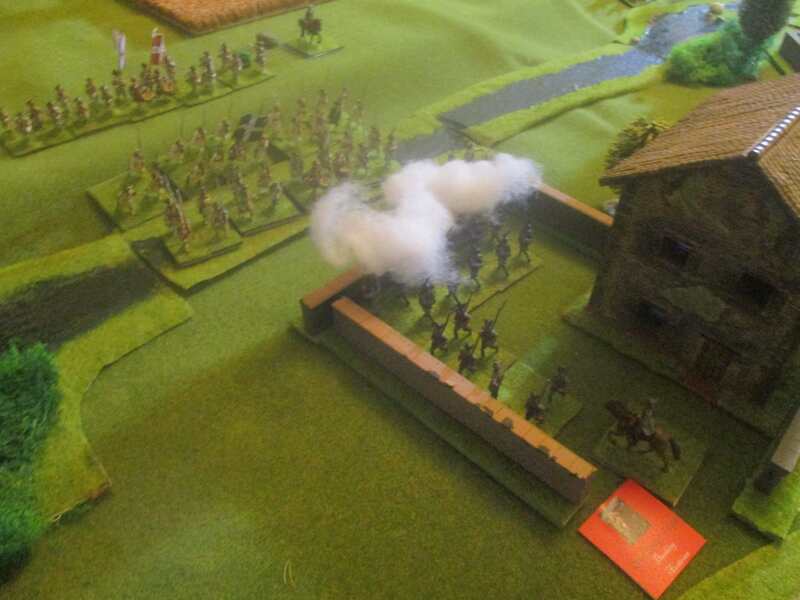 The fine French horse was repulsed by the croat's heavy fire! In the same time the austrians send their whole cavalry Forward launching an attack on one of our hessian bn.s which had charged Altstadt. The poor hessian bn. was done for immediately! At this Moment we had destroyed only one of the opponent's units but had large losses through their fire. Everything gave us the impression of our defeat. At this very moment Trips had send his dragoons to far forward. Montaigne launched a fine Charge with his cuirassiers attacking the dragoons in the front, the other two regiments chasing the pandours over the field. Waldenheim realized that now he had the chance to occupy the churchyard of Altstadt with his remaining bn., which had effectively defended Altstadt before. Clermont-Tonnerre send now his last fresh bn. to fire on the austrians between Altstadt and the large redoubt. At the same moment Montaigne send again his horse in a final Charge, attacking the austrian dragoons in their flank and rear, destroying them immediately. 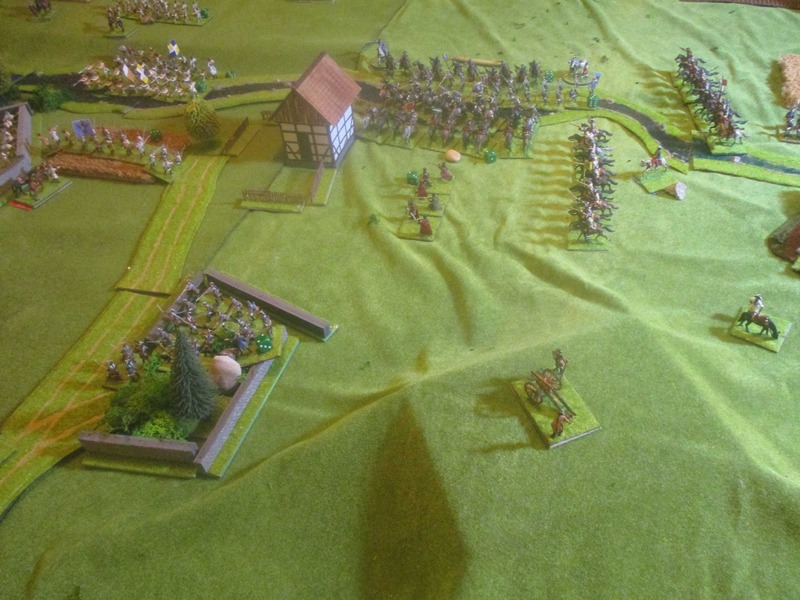 The earlier before very effectively shot austrian hussars and lineinfantry were shot into flank by Waldenheim's unit at the churchyard. The final attempt of Oettingen to take Trenck's small redoubt was costly repulsed. Oettingen lost one of his bn.s completely and the other was send back to lick their wounds. 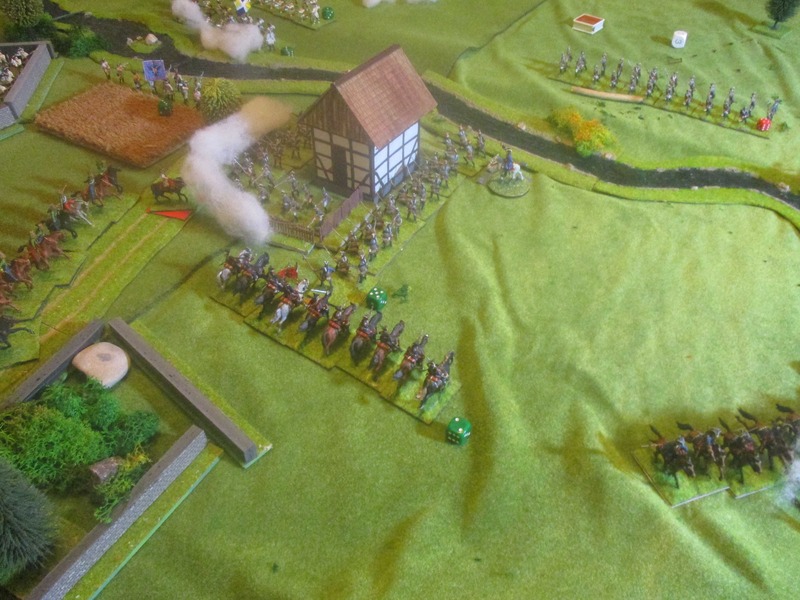 The river Lauter deleted their retreat and they were shot deadly at the end of the battle. Oettingen had lost his whole brigade, destroyed by just one unit of croats. But at the same time the bn. Forgách launched a stupid suicidal attack on Montal's leading bn.. Forgách's heros were beaten. At the same time our heavy artillery shot effectively at the austrian bn. between Wissembourg and the large redoubt destroying them, because Montal had another bn. to shoot at the poor lads too. 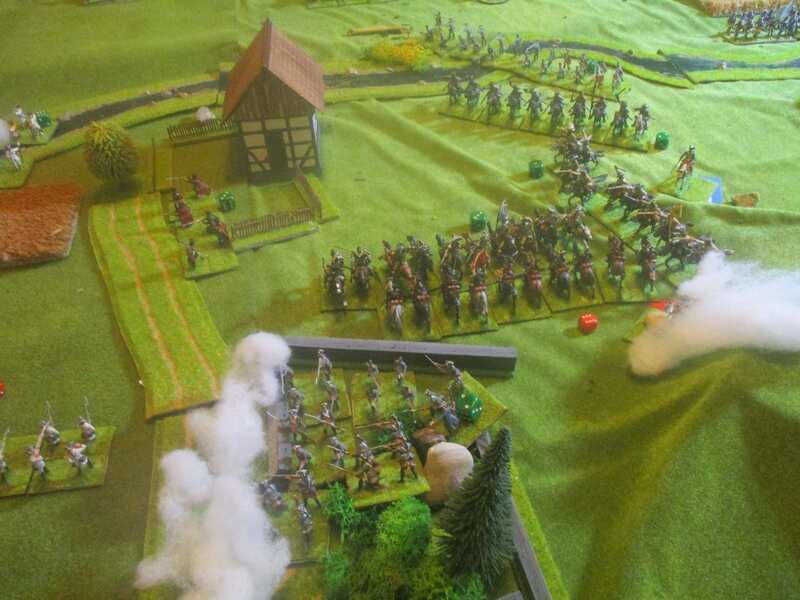 Now the austrian had lost the churchyard and their way to retreat, Trenck was the only General who could retreat with one bulk of croats and the light artillery. The rest of the austrian army became our prisoners! A decisive victory for the emperor and the king of France! I think, that we never had such a decisive victory. The up and down of the battle is very good to see if you look on the breaking Points. At the oppening of the battle the austrian positions were very strong. The hessians needed every unit to get Altstadt while Oettingen, Montal and Clermont-Tonnerre had no chance against there counterparts. The deep columns had to attack immediately when the leading bn.s were into position - perhaps except Oettingen, who could send one bn. in Trenck's flank. Frontal assaults on infantry and good or superior shooting infantry with inferior shooting infantry is useless. Therefore my colleague said, let me charge, we outnumber them and we will win. Although very costly it was right. Nadásdy never realized the necessity to stabilze his right wing at Altstadt. Perhaps it was not necessary until Montaigne attacked. Although Montaigne fought only the austrian dragoons, his advance destroyed the austrian plans to reform the hussars and retreated infantry. I would assume that a counterattack with all intact bn.s of Puebla's brigade in the 4th turn had a good chance to overwhelm the hessian threat. I don't know why, when I'm not locked in, I can only see one of the photos. Mysterious! I can see them all, and very impressive they are. An excellent battle, thanks for sharing. One of the rare scenarios I'm not changing again and again. Looks like it was a great game. Thanks for posting. This Saturday I will try to repeat the success of the French arms!